· Height – 95.0 c.m. · Max Dia – 70.0c.m. We are a top-notch organization, engaged in providing Brass Candle Lamp. On Glass with metal work of Copper & Brass. FINISH - SILVER ANTIQUE POLISHED. 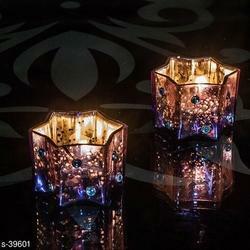 To add opulence to your home decor, get these glass table lanterns From the Indian Shaily Crafts. Made of Brass and glass, these candle holders are Durable. 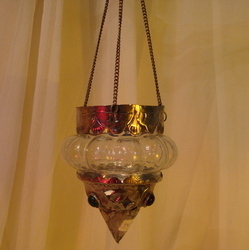 These entire Antique Glass table Lanterns are hand crafted. The Upper and the lower part of these lanterns are crafted of high quality brass by our traditional artisans.